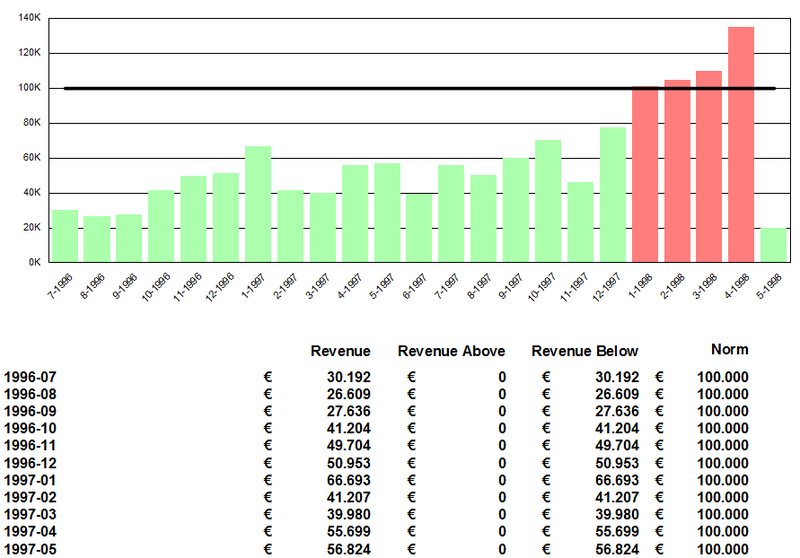 A graph in Crystal Reports with different colors when the revenue values are above the norm or when they are below the norm. 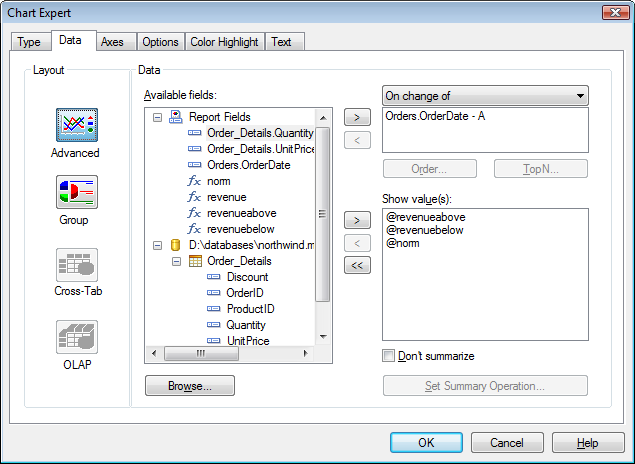 The graph is based on the tables Orders and Order_Details from the database Northwind. Group on Orders.OrderDate per Month. Summary on Formula Field Revenue for the created group. Changed the lines for revenueabove and revenuebelow into Risers.